Wine aficionados will delight in the Lot Valley, where the region’s wines are diverse and delicious, from the deep red wines of Cahors to the crisp whites and rose of Bergerac and St Emilion, and the sweet wines of Monbazillac and Pecharmant We are in the heart of some of the finest vineyards in Aquitaine. Most of the wines produced here are not the typical French appellations of Sauvignon Blanc, Cabernet Sauvignon, or Chardonnay. Here Malbec reigns supreme, alongside lesser known, but altogether exceptional wines, such as Mansois (Marcillac), Braucol, Duras, Mauzac and Len de l’El (Gaillac), and Négrette (Fronton). The Chateau Latuc vineyard of Cahors is one of the most renowned in France and situated just 25 mins drive from Le Seguinet. 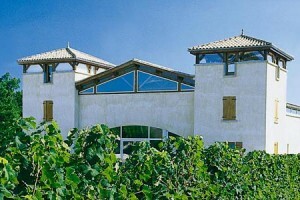 We can organise a wine tasting or vineyard tour for our guests. Chateau Lamartine in Soturac is just a 15 mins drive from Le Seguinet and produces excellent reds and some rose. Cotes de Duras is located on the border with Bordeaux. The award-winning Cotes de Duras vineyards produce a light red and a selection of white wines. A visit to the Maison des Vignerons de Duras is highly recommended if you want to get to know the different wines produced here. Located to the north of Tarn-et-Garonne and to the south of Lot, the Chasselas de Moissac vineyard (AOC) produces a white grape, which is very popular amongst aficionados. The wine is said to be rich in vitamins, detoxifying and delicious and sweet to taste. What more could one ask for? The annual Chasselas Festival takes place on the third weekend of September in Moissac. If you’re in the area on the first Sunday in September, we highly recommend the annual Winemakers Walk and Cycle Ride (Randonnée des Vignerons). Located between the Garonne River and Landes forest, close to the village of Buzet-sur-Baïse. The Buzet vineyards produce full bodied reds; a blend of Merlot, Cabernet Sauvignon and Cabernet Franc; rosé and white AOC wines. This delicious brandy has been produced in Lot-et-Garonne since 1461. 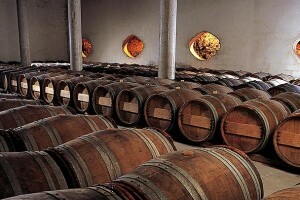 The single distilled brandy, gets its golden hue and smooth flavour using a combination of cultures and techniques over the centuries: Roman vines, Arabic stills and Celtic barrels. You can purchase Armagnac from the local markets, together with its counterparts Eau de vie de Prune d’Ente, Pruneaux à l’Armagnac and Vieil Armagnac, made using the famous Agen prunes.